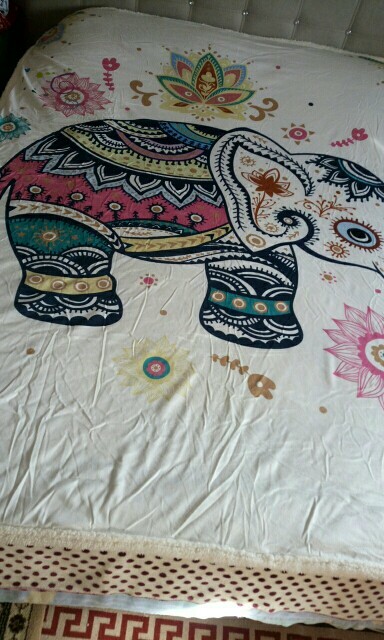 Our Rainbow Elephant Art Blanket for Couch is very good quality, warm, and wonderful interior element. 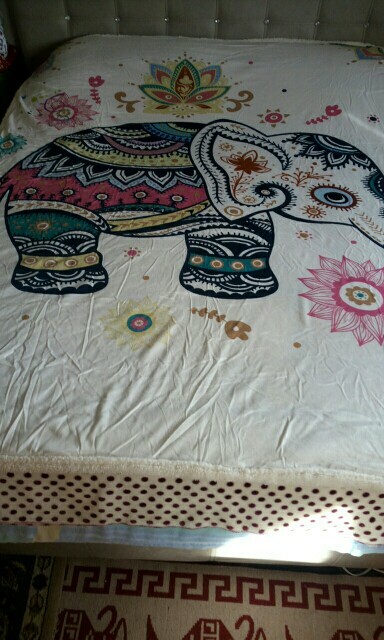 Our Mandala blanket is light, cozy, fit for various purposes. 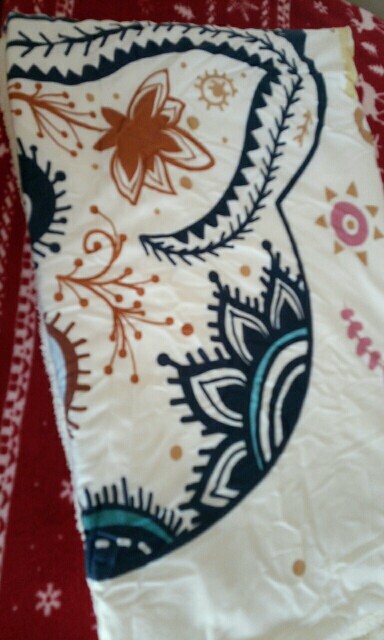 For example, use as a cover while watching TV, use as a cover in a cool airplane, or use as a night blanket. 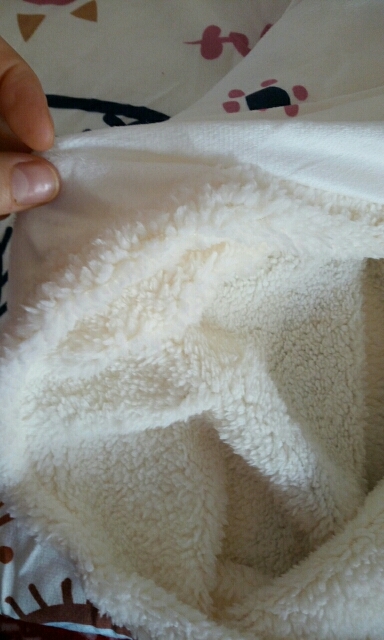 Manufactured of Sherpa fleece – delicate, warm feeling material. 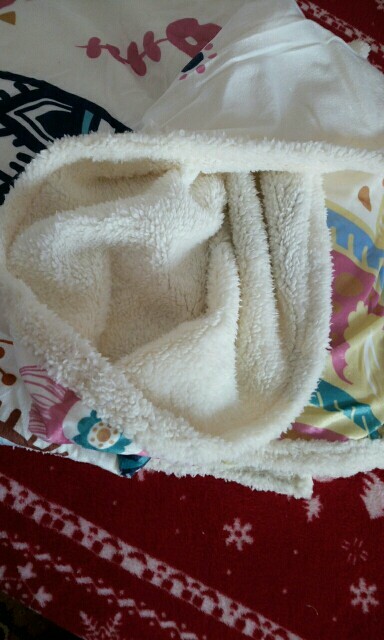 The sherpa blanket is thicker, it’s almost like two materials sewn together. Muy contenta, ha sido un regalo para mi mamá y le ha encantado. Muy buena comunicación con el vendedor. Muy bien embalado. 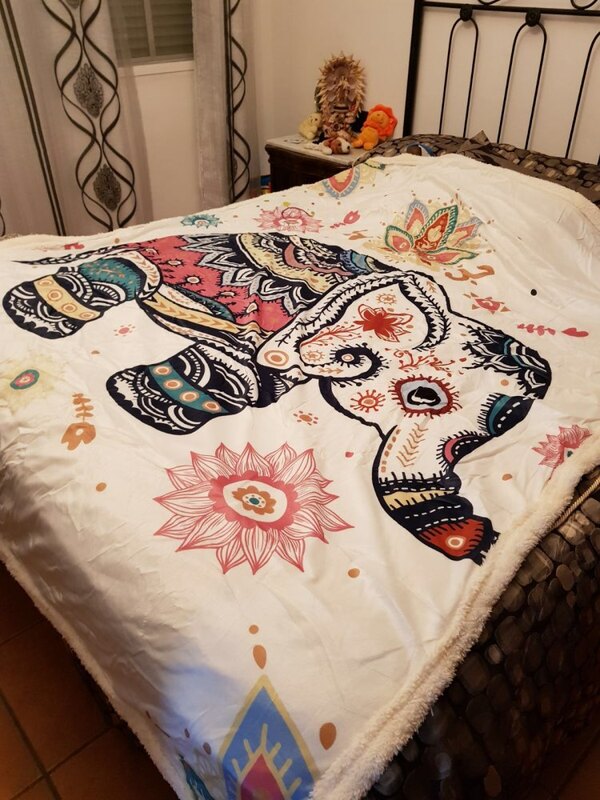 A gift for my daughter and she loves it. Arrived very fast.